Silicon Valley is the global capital of the technology industry, but one tech company is offering to pay employees $10,000 to leave the Bay Area. Zapier CEO Wade Foster says the offer is part of an experimental de-location package for the company. Foster moved from Missouri to the Bay Area five years ago and acknowledges the many benefits to living here, like being in the heart of the tech scene. "Not to mention the fantastic weather, the adjacent beaches, wine country, ski country, and more that the area has to offer—it truly makes the Bay Area one-of-a-kind," Foster writes in a blog post. However, all those perks come with a price and Bay Area cities have become some of the most expensive places to live in the country. Foster thinks many people would like to leave the area in search of a better quality of life but don't want to sacrifice potential career opportunities. "I know there are quite a few people in the Bay Area who are new parents looking to find a better standard of living," the CEO told SFGATE. "It's difficult for a family of four to afford rent, a mortgage, or child care here in the Bay Area. Even if you are a two-income family this can still be difficult." To combat the problem, Zapier, a workflow automation startup that helps users to connect apps, is offering $10,000 to Bay Area residents who accept a position with the company and agree to move away. All of the company's employees work remotely. "Since we don't care where people work from, we thought we'd help with a relocation package to help our new teammates find a place they'd love to live," Foster told us. There is some fine print involved: The $10,000 can only go toward reimbursing moving expenses for the first three months the employee is working at the company. The tech company is also asking for a one-year commitment, to avoid people taking advantage of the offer. This isn't the first time companies have tried to attract Silicon Valley talent with enticing moving benefits. In 2016, a New Zealand town offered packages of land and homes for $165,000 to anyone willing to live and work there. Though the de-location package was only announced a few days ago, the company is already seeing a lot of interest in the deal. "Over the weekend we've seen quite a few people apply for our open positions citing interest due to the de-location package," Foster told SFGATE in an interview. If all goes well, Foster says his company may expand the offer to employees looking to relocate from other expensive cities. As for Foster and his own family, he says they don't want to leave the Bay Area, but fear they may have to one day. "My wife and I genuinely do love it here. We've made friendships that will last us through our lifetime," Foster told SFGATE. "My wife and I are seriously considering moving though because there are benefits of being in a lower cost of living area and being closer to family." Zapier doesn’t believe in relocation. In fact, it’s trying to incentivize current employees to de-locate by offering them $10,000 to leave. The Bay Area, that is, not the company. Zapier CEO Wade Foster says the offer is an experimental one. After moving to the Bay Area five years ago, Foster is aware of all the benefits of living there: great weather, beaches, wine country, skiing, and a location that puts you in the heart of tech-central. These perks don’t come for free. 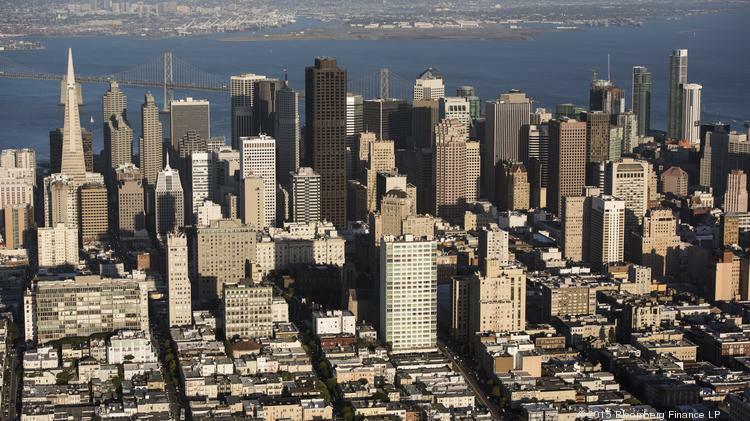 In recent years, San Francisco and the surrounding area has become one of the most expensive places in the United States to live, and is facing a severe housing shortage that should only worsen the problem. Difficult, in this case, could actually border on impossible. The average two-bedroom residence in San Francisco, for example, runs approximately $4,500 — nearly double what that same place would have cost you in 2011. If you’re looking for space to spread out in a three-bedroom, I hope the company you’re working for is near an IPO, or you’ve got an ambiguous stance on selling extra organs. A Twitter engineer recently ranted about the perils of trying to live in the Bay Area on his $160,000-a-year salary. Spoiler alert: it’s not easy. Since Zapier team members work remotely, the company doesn’t really care where you live. It’s hoping the $10,000 could entice Bay Area residents who accept a position with the company to look elsewhere in search of a better life. The offer is open to new employees currently living in the Bay Area. The catch? You’ll have to work at Zapier for a year, which doesn’t seem like a bad deal to me. If successful, Zapier hopes to offer the same incentive to others living in expensive cities outside the Bay Area. A local technology company wants to help its employees escape the high cost of living in the Bay Area by offering them $10,000 to move out of the region. Zapier, a startup that helps users move data between apps, wrote in a recent blog post that it is trying the "de-location package" as an experiment. "There are quite a few people in the Bay Area who are new parents looking to find a better standard of living," Zapier CEO Wade Foster told SFGate. "It's difficult for a family of four to afford rent, a mortgage, or child care here in the Bay Area. Even if you are a two-income family this can still be difficult." Foster said many people would like to leave the Bay Area to find a better quality of life but don't want to sacrifice potential career opportunities, according to SFGate. The company will offer the $10,000 incentive as a way to help cover moving costs in the first three months of working at Zapier. Employees will also have to commit to staying at the company for at least a year to receive the money. Zapier has nearly 70 employees around the world, all of whom work remotely. The startup has nine open positions. "Over the weekend we've seen quite a few people apply for our open positions citing interest due to the de-location package," Foster told SFGate. Foster said Zapier might expand the offer to cover other expensive areas. 0 Response to "Company offering employees $10,000 to leave Bay Area"